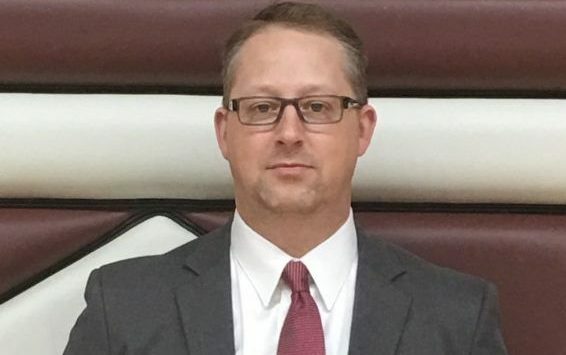 A familiar face is taking over for the Salina Central boys basketball program. Ryan Modin, assistant under recently retired coach Doug Finch, has been named the next head basketball coach, pending USD 305 board approval. Modin just completed his 10th year as top varsity assistant and head coach of the freshman squad. Since joining the staff in 2009-10, Central’s freshman team went 144-47 with just one losing season. As a varsity assistant, Modin managed opponent scouting and post development along with out of bounds plays and sets. He was in charge of that for a program that just completed its fourth consecutive trip to the Class 5A state tournament, a first in SC boys basketball history. Modin is also a teacher at Salina Central, currently in his 13th year. Shortly after he arrived, Modin served as assistant and freshman baseball coach under Dee Kolzow. In addition to the hiring of Modin, Salina Central announced Brooke Christie as head volleyball coach and John Corman as head wrestling coach.